I'm using my Pink Willow dishes for our tea today. Sweetheart and I will be remodeling our kitchen/dining room soon, and after the tea I will be packing the dishes away for awhile. 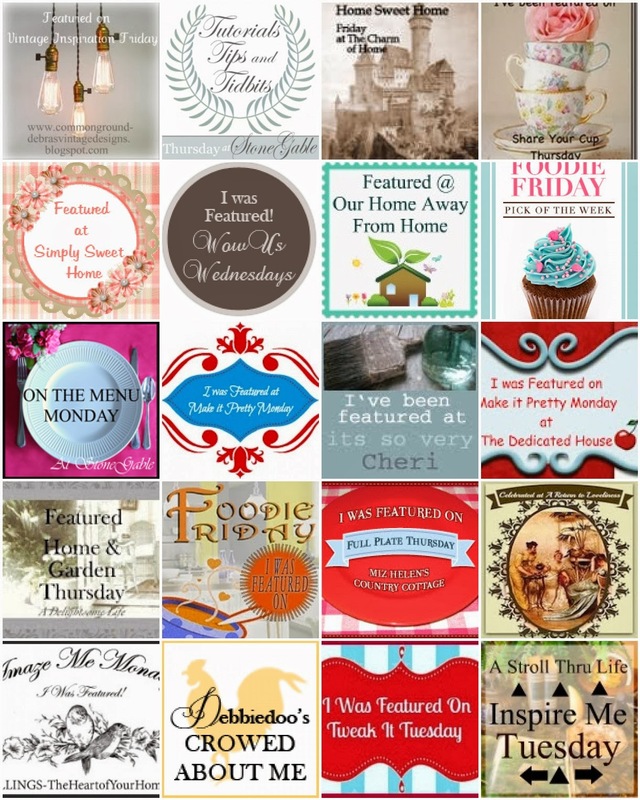 I love playing with PicMonkey photo editing software. Especially when they have special themes like Valentine's Day. Heart shaped sprinkles are so pretty! 'First Love' teaspoons are ready to stir some tea. I thought a big tea pot would be nice, and the sugar and cream are handy too! Half the month of February is going to be here soon, and the time is moving along rather quickly. Sugar and spice and everything nice is a great way to spend the cold winter season. Have a wonderful week and thanks for your wonderful comments. Your cupcakes look so pretty and tasty, and the teaspoons are gorgeous! Have a great day. Gorgeous tea party, I love everything you did, specially that red-pink transfer ware..my fav too! I have that cup cake stand and I lve how you displayed it. I also love stacked up teacups, lol.. Have a lovely Sunday and week. This is a fabulous post! The stacked tea cups, the angel of the cup cakes, the toile napkins - all of it! 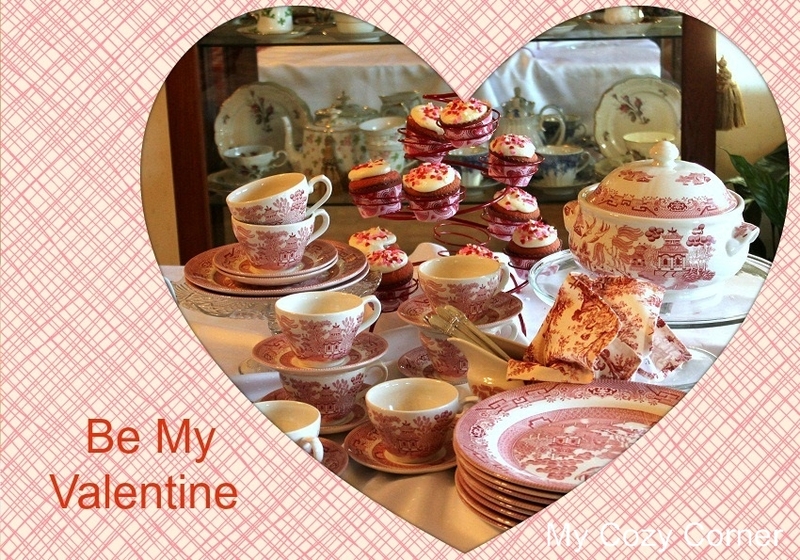 This is a lovely Valentine's tea theme - with wonderful china and gorgeous pictures. The cupcakes look so delish, everything is perfect. So pretty and yummy looking - those cupcakes look really good. That is exciting about your kitchen/ dining re-do - cannot wait to see it, when it is finished! 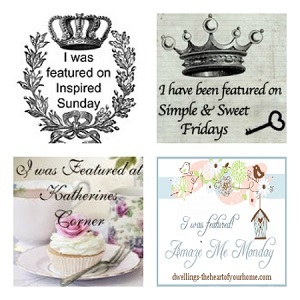 Beautiful, I just love your transferware and your cupcakes look yummy. Hi Betty, Love your pink willow! Your table is beautifully done. The cupcakes look great too! Happy Valentine's Day. 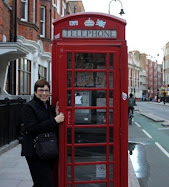 That was a very cheery post - and I'd love to come by for tea! What a cute post. I love the tea set and the cupcakes look yummy! Happy Valentines Day! Beautiful!! 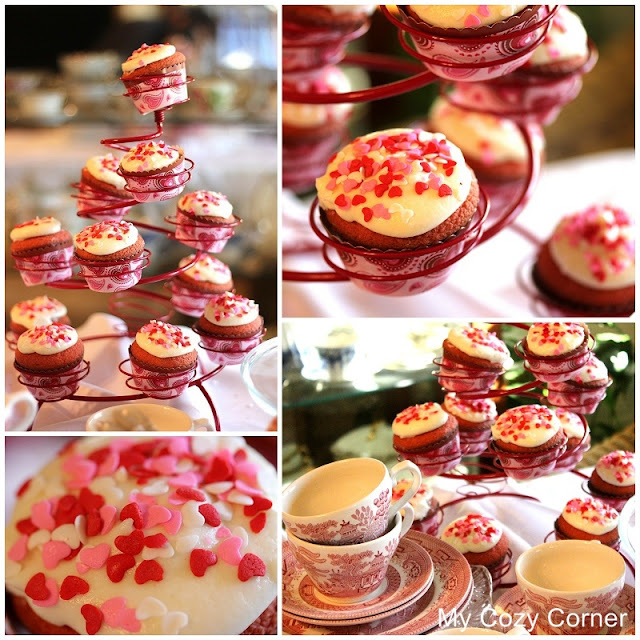 A perfect Valentine celebration with red velvet cupcakes and tea in your lovely red transferware. Good luck with the remodel. We did that in 2009. It was worth the mess and doing without the packed up tea china. A lovely tea and I love your red transferware. Betty, I adore your red transferware and those cupcakes...oh my!! Your photos are so vivid and bright. Happy Valentine's Day! I love your red/pink Willow. I have two dinner plates in that pattern. Wish I had more. Your tea is very pretty with your stacked teacups and cupcakes in their holder! LOVE all the transferware and it's perfect for Valentines day. Thanks for sharing and coming to tea, my friend. Love your pink willow for a Valentine's tea. I noticed you put the silverware in a creamer (or gravy dish?). What a neat idea! A lovely tea! Happy Valentine's Day to you! Do save room for me at your tea table Betty, it's a vision in pink. Pretty pink transferware, little hearts on the yummy looking cupcakes and silver spoons with elegant handles. I like the cupcake holder, I keep thinking about buying one, they certainly feature the little cakes in tiers. You set a beautiful tea table. And what's the difference between a pink and red velvet cake? The transfer-ware is perfect for a Valentine table setting, and the cupcake holder sure lends a very cheery note to the table. Pass me a cupcake please! Oh I hope my comment went through!